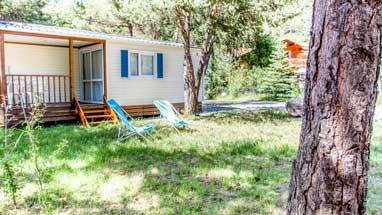 For your stay in the Barcelonnette area, the campsite Le Fontarache welcomes you in its modern rentals and perfectly adapted for all families. 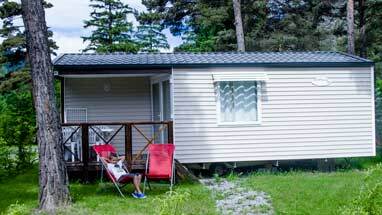 Our Comfort + cottage mobile homes can accommodate a large family (up to 6 people) and offer you a high quality service. 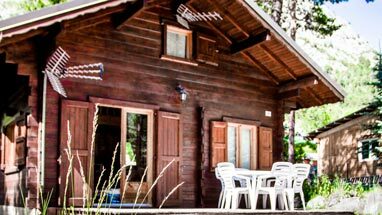 These rentals of 27 m² are composed of two separate bedrooms and a living room that can be converted into a double bed. In the rental you will also find: kitchen, bathroom, WC. 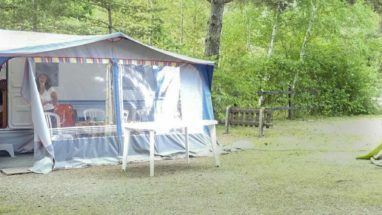 The terrace will allow you to find your family and enjoy the pleasant atmosphere of the campsite. During the summer holidays, we welcome many families to whom we offer a quality service recognized by our 3 stars. 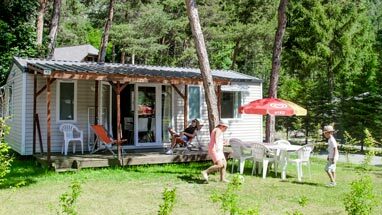 Thus, our rentals are modern and fully equipped: garden furniture, parasol, deckchair, barbecue, multimedia equipment, thermal installation, cleaning products … To make your stay even more enjoyable, you can enjoy our secure pool for a good time with your children. 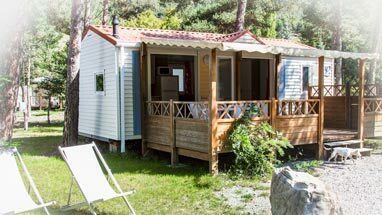 Offered from 55 € / night, our Comfort + cottage mobile homes welcome you for a minimum of two nights. To make you feel completely on holiday, we also offer optional services: bed linen and towels, end of stay cleaning.